In almost every industry sector, professionals use Twitter to promote their companies’ products or services. The microblogging website is effective in developing an online community where consumers and industry experts can coexist and converse about specific topics, so there is no doubt that it can help improve lead generation marketing. There are thousands of Twitter users searching the platform on their mobile phones every hour, and brands that use hashtags to categorize their tweets may find that their content is read more often than the work of organizations that do not. Hashtags are the words that follow pound signs (#) in tweets. The tags create filters that users can click on and find all related tweets. For example, using the hashtag “#LondonOlympics” will categorize all messages related to the summer games in one place, so users can keep abreast of event results rather easily. However, in the business world, it’s important to carefully consider the hashtags used in professional tweets. There were past instances in which brands neglected to research conversations associated with hashtags before including the tags in marketing campaigns. As a result, brands were identified with conversations that did not complement their marketing messages. Hashtags should also try and convey complete thoughts. The categories need to be short and succinct, so they don’t take away from character count and force the main message to be overly brief. Furthermore, getting too creative with a hashtag, while comedic, can make it harder for users to discover content, which defeats the purpose of tweeting for professional reasons. Twitter is a fairly simple social networking system, but it can provide significant advantages to brands that use it correctly. Hashtags can make an impact – as long as marketers don’t use them too much, as the categories can take away from the point of the message if they aren’t completely necessary. Have you found that hashtags successfully complement your Twitter campaigns? 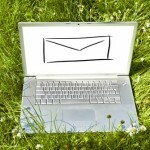 Is email marketing worthwhile today? It's important to remain connected to coworkers, customers and investors in today's digital era.